The rapid availability and efficient distribution of information within a team is a topic that every business needs to address. An efficient internal communication is fundamental to a company’s success. The intranet used to be one of the main pillars of internal communication. 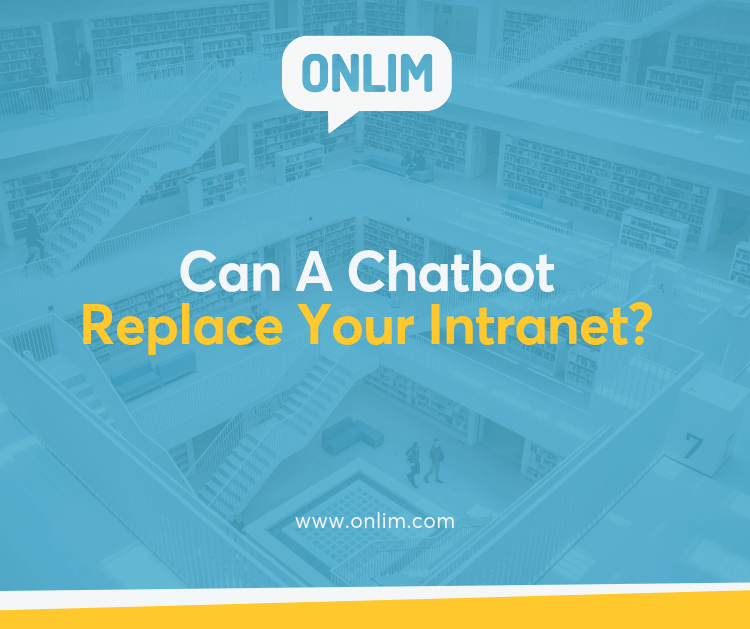 With the constant improvement and development of chatbots, however, the question if they can replace your intranet arises. In this article, we will have a closer look at the intranet and chatbots and we will give you an overview of how to make the most out of these two technologies. What are the tasks of intranets and chatbots? To answer this question, we need to define what tasks intranets and chatbots should fulfil. As a closed computer network, the main task of an intranet is to provide its users with internal information as quickly and easily as possible. Chatbots can also be of great help when it comes to improving internal processes. At first glance intranet and chatbots fulfil similar tasks. One crucial difference, however, is the communication strategy. There are two main strategies: push and pull. With the push strategy, information is actively sent to the user. This is the case, for example, with newsletters or push notifications. When the pull strategy is applied, information is retrieved by the user. For instance, he visits a website and searches for the necessary information. The intranet is a pull medium. Employees need to log into a system and actively search for the information they need. A chatbot combines push and pull functions. On the one hand, it allows the user to actively search for information. On the other hand, it can keep employees up to date with news or updates via push notifications. Due to the two communication strategies, intranets and chatbots can serve different purposes. The following lists give you an overview of various use cases of both technologies. You need information without knowing what you are looking for. An intranet helps you to get an overview of what information is available. You need to look through large documents, such as contracts or processes. For this purpose, the user interface of a chatbot is limited. You need a graphical interface or an editing function for tables or charts. In these cases, an intranet is the better choice. You need information as quickly as possible and you know exactly what you are looking for. You need some information, but you do not know where to look for it. You have limited computer skills. You rely on voice control and you need to search for information without using a touchscreen or a mouse. In general, it can be said that the intranet is well-suited to get a rough overview and to find information without a specific search request. In order to assess which technology is most suitable for your business, you have to think about which tasks it should be used for and what the communication habits of your employees look like. It is not an either-or decision. A combination of intranet and chatbot is also an imaginable solution. 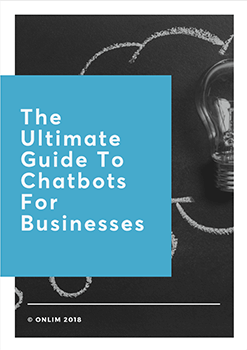 By Stephanie|2018-11-08T14:16:16+02:00November 8th, 2018|Categories: Automation, Chatbots & AI|Tags: AI, artificial intelligence, automated customer communication, Bot, can a chatbot replace your intranet, chatbot, Intranet, onlim|Comments Off on Can A Chatbot Replace Your Intranet?